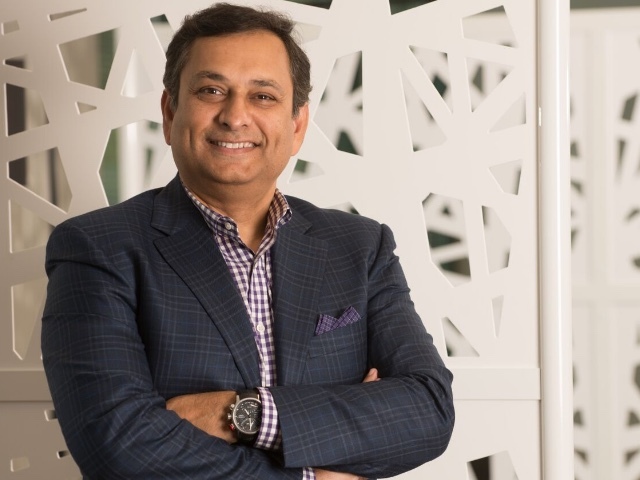 When Manoj Saxena surveys what’s next in the world of computing, he sees a huge change coming that will transform the way we live our lives. 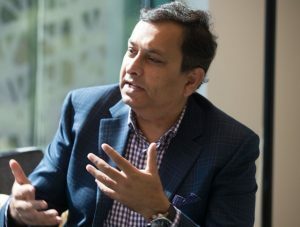 The former general manager of IBM’s Watson project, which scours millions of pages of data to answer questions posed in natural language, says machine learning and artificial intelligence represent the fourth big inflection point in history — after the alphabet, the printing press and the Internet. “This shift is going to make the Internet look small in terms of impact,” he says. In his view, we’re just at the beginning of the artificial intelligence (AI) investment cycle. The $2 billion already invested in AI is just one-tenth of what’s to come. “In about five years, saying, ‘My software does AI,’ will be like saying, ‘My software does the Internet,’” he said, in a recent interview with Texas CEO Magazine. Saxena sees two areas where artificial intelligence will have a long-term effect: health care and education. Health care is already a trillion-dollar industry, he says, and 80 percent of its costs go into chronic care management. Within five years, 150 million Americans will be managing some kind of chronic disease. The difference is, most of that management will be done at home, not in a hospital. People will be using a health care “concierge,” Saxena says. Saxena calls it “hyper-personalized” information, and it will stick with people throughout their lives. He sees this level of personalized information as the next great opportunity, but it still needs some tweaking. The next trillion-dollar industry to be affected by AI is education, Saxena says. He’s looking for the development of a cognitive tutor. Take the case of a 10-year-old boy who emigrated with his family from Mexico three years ago. Although he’s learned English, he has fallen behind in school. This spring, he failed the STAAR test, and he’s being put in a remedial classroom. He hates school, hates his teachers, and is not engaged with learning. The cognitive tutor Saxena envisions would personalize the instruction he needs to catch up to his grade level, and equip him for the kind of career he’ll need in the future. Saxena expects that we will move from a world of big data to a world of insights. “Today, everything is barking data,” he says, “from your lights, to your door, to your car. There is no fabric yet that will collect that data and create insights and new experiences out of it for you.” He thinks the autonomous car is the beginning of a new class of applications. And those applications are merging together, in what Saxena likes to call the “superconvergence” of six major technologies: cloud, mobile, social, artificial intelligence, big data and analytics. “We have never seen this in the history of the IT industry — at most you had one or two converging, from client server to web, from web to mobile — but you never had six coming in at the same time.” That, he says, it where most of the jobs will be. But the creation of those jobs depends upon the education system adapting to the requirements of the new reality. Saxena thinks the United States does a good job in higher education, but falls behind in K-12, where he thinks children are still being educated for a 20th century factory floor. In the digitized world, Saxena says the core competencies of business will change, from manufacturing to customer experience and customer engagement. Cognitive computing will discover and learn things about an individual while that person is sleeping. It’s a world where the human brain will be overwhelmed by machines. Saxena is optimistic about the future of artificial intelligence. 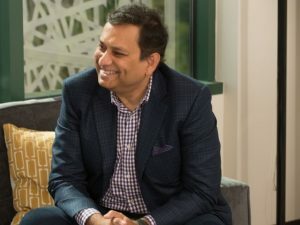 Since leaving IBM, he has become a venture capitalist, launching The Entrepreneur’s Fund, founding WayBlazer, and investing in both SparkCognition and CognitiveScale. Part of his motivation for making those moves was realizing how much machine intelligence will impact the way we live, work and play. He believes technology can solve the world’s major problems. “I tell our CEOs our motto is to do good, have fun and make a lot of money — and don’t get the sequence confused,” he says. When investing, Saxena looks for a company with a sense of purpose, not just an eye to the bank balance. He looks for people with integrity, work ethic and the ability to work well with others. CognitiveScale just raised $21 million in new financing, but Saxena thinks there is plenty left to keep growing AI. “There’s $54 billion in capital by one account still sitting on the sidelines. The issue here is not money, the issue is people and outcomes,” he says. Saxena just turned 50, and he’s thinking about what he’s going to leave behind. He says he wants to make Austin the hub for artificial intelligence.